Community members in Georgia’s Upper Svaneti region and environmental groups, worried about the impacts of unchecked hydropower development, have long been warning that decision makers are overlooking the unstable seismological, geological and hydrological conditions in the area. In early July, well before the completion of the Nenskra hydropower project, the largest in the region, all those involved received the starkest reminder when villages of the Chuberi commune were hit with major floods. 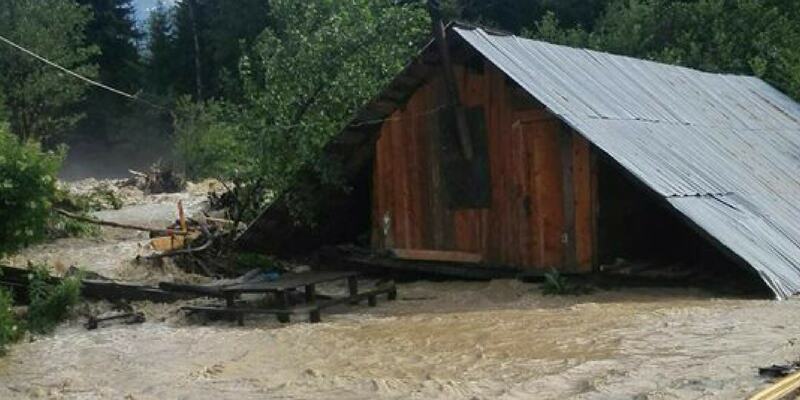 Heavy rains and melting of snow and glacier ice triggered a mudflow in the Okrili river, a right tributary of the Nenskra river, which in turn created a blockage that diverted the floodwater right through the villages. The water gushing through the villages inundated agricultural lands and heavily damaged road infrastructure, bridges, houses and electricity lines. Scientists have repeatedly warned that climate change, fuelled by humanity’s unabated greenhouse gas emissions, is making such extreme weather events more likely by creating the conditions for them to appear more often and be more devastating than we are used to. In the Nenskra valley, many of the local residents have been expressing their concern, since more than three years, that the construction of the 130 meters tall Nenskra dam is aggravating the situation in this geologically volatile region. In fact, the dam and reservoir site encompasses a number of other, even more active mudflow streams than Okrili, as well as several avalanche and landslide prone areas. In addition, forest clearing within the project area, which was documented barely three months prior to the disaster, could lead to the emergence of new mudflows and active landslide zones, thus further worsening the existing geological conditions. Yet, planners have failed to properly assess the impact of these risky conditions on this questionable hydropower adventure. Evidently, the Nenskra project is quite literally on shaky ground. Moreover, on the day the floods began sweeping through the Chuberi commune, JSC Nenskra Hydro, the project developer, was quick to deny any connection between the construction of the project and the disaster. In a statement it released, the company claimed that the floods occurred five kilometres from the construction site, even though the Okrili stream flows below the dam site but squarely through the construction area. But this was not all. The following day, speaking to journalists, Prime Minister Mamuka Bakhtadze linked the disaster to sporadic logging in the area. However, there is no evidence to support such claim. According to a statement issued by Green Alternative and six other Georgian environmental groups on July 16, satellite monitoring of forests in the area shows no indication of tree cover loss in the relevant section of the Nenskra gorge in the years 2000-2017. Rather, by shifting responsibility to local residents, the NGOs’ statement said, the Prime Minister is essentially trying to avert political criticism. The July devastating floods in Upper Svaneti must be a wakeup call for the Georgian government that’s so keen on pushing the controversial Nenskra project, despite ongoing protests of the local communities and the warnings from experts and civil society groups. This disaster is also a reminder for the international financial institutions which enable this project – namely, the European Bank for Reconstruction and Development, the European Investment Bank, and the Asian Development Bank – that a much closer attention should be given to the way Nenskra and other hydropower projects in Georgia are realised. 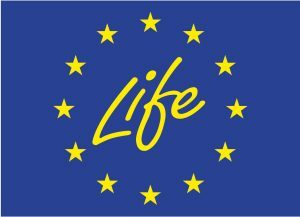 Specifically, the government and the project financiers should seek expert advice from the Netherlands Commission for Environmental Assessment (NCEA) in order to revise the Nenskra hydropower project’s documentation in light of the recent floods and other potential disasters. The NCEA’s contribution should also include an assessment of the cumulative impacts of all hydropower projects, in operation and under development, on geological processes.